It’s the second season of Salvatore Ferragamo‘s re-invention for Paul Andrew and Guillaume Meilland. The two designers managed to wipe off the dust of the Italian house already back in their brilliant debut collection. Now, the question is – will they thrive? And, will the client return to Ferragamo after the year of oblivion? Well, since Phoebe Philo exited Céline and the customer who wants that kind of luxury won’t stay for Hedi Slimane, they can turn to Andrew and Meilland (as well as to Lemaire and Hermes, but why not give a try to an Italian brand?). Knitwear is offered in the most high quality yarns, meanwhile shirting looks, well, like tailorship perfection. Archival prints were used for plissé silk, and the label’s signature Gancio motif was woven on canvas jacquard. Smart integrity between the past, and now. But, wait – the shoes! That’s Paul’s job mainly. Those burgundy boots in eel skin are gorgeous. “The shoes really dictate a lot at Ferragamo; here they have their own special voice” is how he summed up the footwear line. I think there’s bright future for Ferragamo with these guys. Actually, when was the last time you’ve heard from Salvatore Ferragamo? To me, as to most of the editors, insiders and potential customers, the Italian brand seemed to have lost its identity long, long time ago. What does Ferragamo stand for? Does it even matter today? Fortunately, the brand didn’t end as another ‘Made in Italy’ label with airport stores, even though the verge was very near. Paul Andrew, whom you might know for his namesake footwear brand, and Guillaume Meilland (Ferragamo’s menswear designer) joined forces to create an impressively consistent, chic and, most importantly, covetable collection of autumn-winter essentials. Leather and silk foulards are Ferragamo’s biggest codes, that’s why the collection was filled with incredible suede coats, ostrich leather boots and dresses covered in archival prints. The tailoring, for both men and women, was powerful as well. Katharine Hepburn, a Ferragamo fan of the past, and her style influence were obvious – a crisp shirt, a blazer, a perfect pair of pants. It’s important that the designers develop the new Ferragamo by embracing the brand’s heritage. Even though some pieces, like the big poncho or belted maxi-dresses, felt very Phoebe Philo, that isn’t the collection’s drawback. 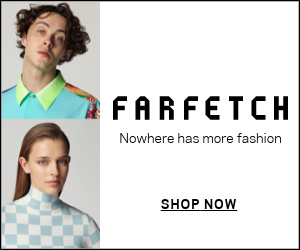 Quite opposite – those who will not find themselves comfortable in the Hedi Slimane-era Céline should switch for Ferragamo (which you might have never expected!). Bravo!